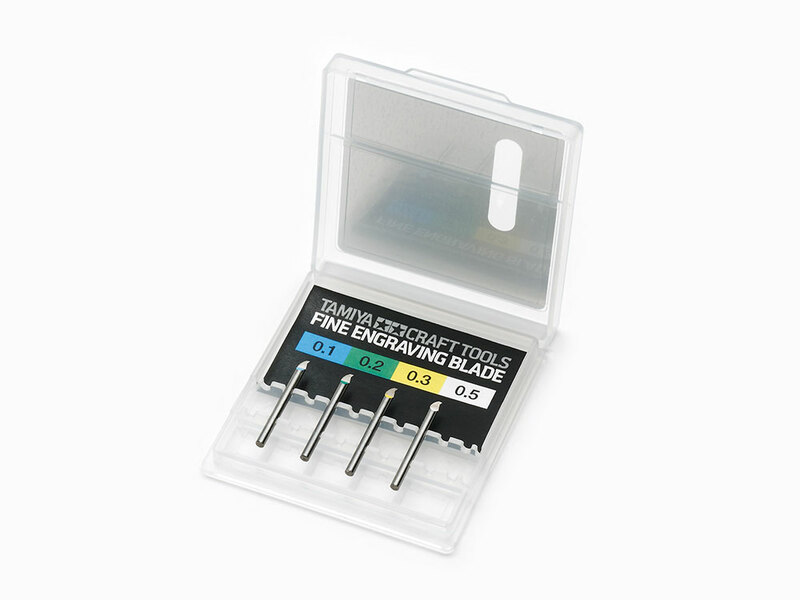 ★These are precision blades for engraving plastic models, offering an exacting finish and superb durability. ★Use them to engrave new details or emphasize existing ones. ★Each item includes 1 engraving blade. ★The case can be used to store up to 10 blades. Cut out a section of the packaging for easy color-coded storage (corresponding color is marked on each blade). Information is correct as of January 9, 2018. Specifications are subject to change without notice.